The United States’ modest five-game winning streak came to a crashing end as Jürgen Klinsmann’s team was thrashed by five-time world champions Brazil, with the U.S. media responding by saying the Americans received a reality check and lessons from the South American powers. 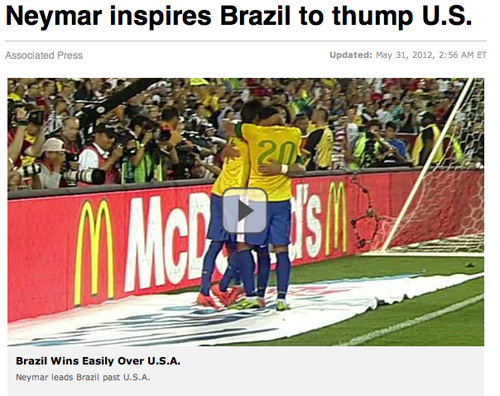 U.S. sports news giants ESPN said “Neymar inspires Brazil to thump U.S.” while adding “U.S. sharp in attack, not defense” and “USA Learns Lessons From Brazil”. 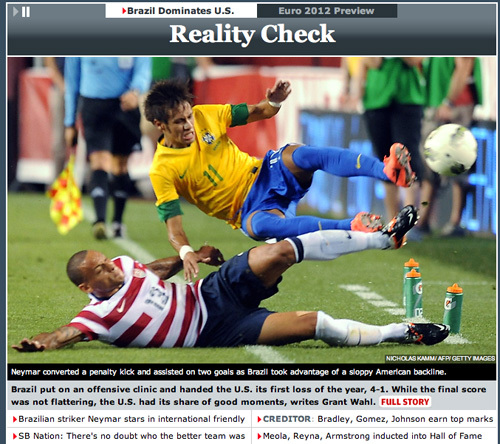 The Washington Post came up with the headline: “Brazil too much for United States at FedEx Field”. And the New York Times titled their story: “U.S. Still Learning, With Brazil as Teacher”. 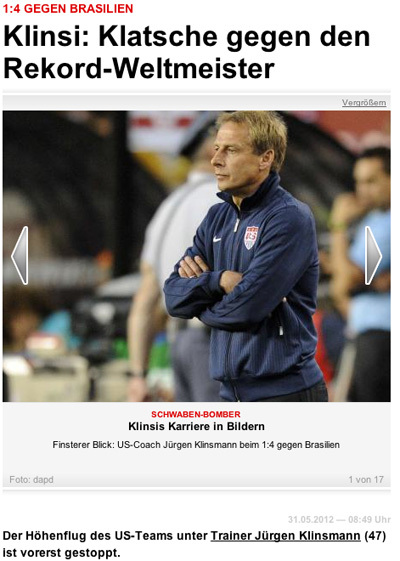 The game also was reported on in Klinsmann’s native Germany with the mass daily Bild saying: “Klinsi: Hammering against record world champions”.